Should the Queen be above the law? That is the awkward question now facing politicians, lawyers and constitutional experts, in the wake of the Burrell case. The sudden collapse of the trial of Princess Diana's former butler has provoked a debate about the Queen's privileged position in the British legal system. Traditionally, criminal prosecutions have been brought in the name of the sovereign. When Paul Burrell was accused of stealing the princess's belongings, the resulting trial became "Regina v Burrell". So it was extraordinary that it was the Queen's intervention that led to the Crown throwing in the towel, and Mr Burrell walking free. Justice in the United Kingdom has long been administered in the name of the monarch. The sovereign not only has immunity from prosecution, it has become accepted that he or she cannot be required to give evidence in court. According to the barrister Baroness Helena Kennedy QC, the unique legal status of the Queen is based on historic precedent and tradition, to protect the dignity of the monarch and the process that dispenses justice in her name. "Nowadays that immunity is questionable," says Lady Kennedy. "The rule of law has changed over the past fifty years and now incorporates the idea of human rights. If someone is tried, whoever has information should come before the court to make sure that justice is served." She says that had she been representing Paul Burrell, she would have wanted to call the Queen to the witness box. She would have argued that the Human Rights Act entitled her to question a witness to a material fact. But the prospect of the Queen having to go into the witness box, and face cross examination, was dismissed by the constitutional expert Lord St John of Fawsley. "It is contrary to all the principles of jurisprudence that the Queen should not have immunity," he says. "She has that immunity not as a privilege, but so that she can fulfil her functions as monarch." Lord St John points to a famous case that came before the courts in 1911, when King George V was falsely accused of bigamy. The person who made the allegation - a Republican - wanted to force the monarch to give evidence, but the Lord Chief Justice decided he could not be ordered to give evidence. "So it is based not only custom, but also on case law," says Lord St John. "You would get eccentric people coming forward and summoning the Queen into the courts, and it would make her position impossible." But Helena Kennedy QC argues that a civil case like libel is one thing, a criminal trial where the defendant paces the possibility of going to prison is quite another. "If someone is facing imprisonment you are dealing with a different order of things," she says. "You could not possibly deny someone the opportunity of having evidence that would shed light on the case and show that they might be innocent. "The Queen would in fact be undermined in the public's mind if she prevented someone from having a fair trial, especially if they faced imprisonment." The Prime Minister, Tony Blair, has made it clear that he regards the Burrell case as quite exceptional, and he sees no reason to alter the present conditional position of the monarch, in relation to the courts. But some MPs, including Labour backbenchers, have expressed their disquiet over the trial and the legal status of the Queen. They say her information had a direct bearing on the outcome of the case, raising questions about whether her immunity should continue. The veteran Labour MP Dennis Skinner has said he will be writing to the Lord Chancellor, Lord Irvine, about the role of the Queen. "If this was an ordinary man or woman in the street, they would be accused of withholding vital information and obstructing the course of justice," he said. "At the risk of finishing up in the Tower, I cannot see why people, however high and mighty, should be allowed to escape the full rigour of the law. "The rules should apply to everyone." The Liberal Democrats' spokesman on home affairs, Simon Hughes, has suggested that criminal proceedings should no longer be taken in the name of the Queen. In future, he says, cases could be taken to court in the name of the Crown Prosecution Service or the Director of Public Prosecutions. 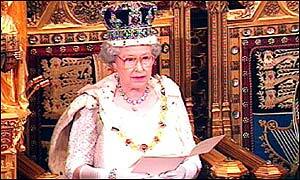 And the historian Lord Morgan has said there should now be a "serious examination" of the role of the monarchy. "I would think we ought to regard this extraordinary case, which has aroused so much attention for its sheer absurdity, as a step towards a written constitution making the monarchy accountable," he told the BBC. So the bizarre trial of Paul Burrell may be remembered more for its consequences for the monarchy and the legal system than for the allegations that put him in the dock. Will an internal inquiry get answers?